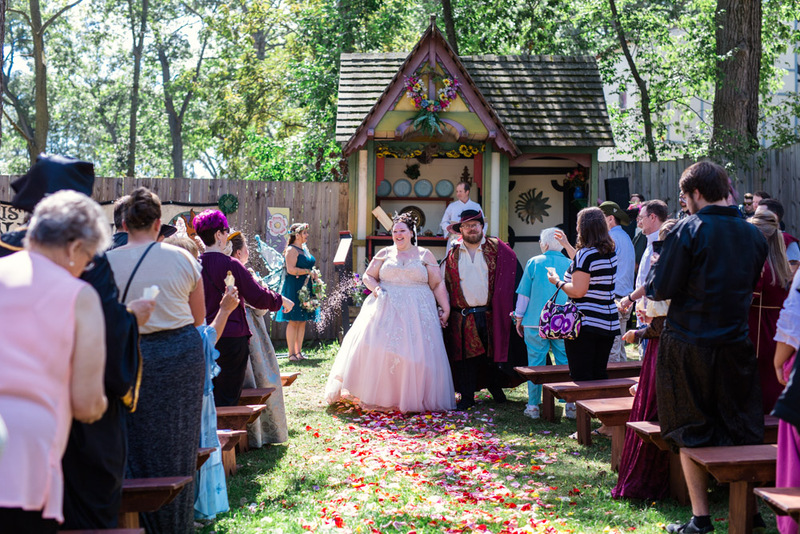 Have Your Wedding or Private Party at the Renaissance Faire! Cotswold Commons is an idyllic setting for you and your guests to enjoy the beauty of our lush grounds and garden while surrounding yourself and your guests with all of the wonder of a Renaissance village, full of entertaining sights and sounds! Your entire group will have full access and use of the Commons as well as the ability to move freely throughout the remaining Faire grounds to partake of all of the merriment and fun our realm has to offer! Amenities at Cotswold Commons can be tailored to your group’s wishes. Total costs will be based upon amenities selected by you. All you must do is simply pick a date, select a menu, and let your guests know when and where the fun begins! Our staff is happy to work with you to help you build the event of your dreams. For a fee of $750.00, you may reserve your date and rent the Cotswold Commons space. A rental fee paid in full is required to hold any date at Cotswold Commons. This is merely for the space itself and does not include any amenities. Given our limited run dates, this fee is non-refundable. For large parties or groups who wish to enjoy the faire, but do not need catering, you may arrange with our Special Events Coordinator to instead offer your guests Queen’s Currency. Queen’s Currency is faire currency that comes in $4.00 increments that may be spent by your guests at any food or beverage booth at the Bristol Renaissance Faire. All guests will need to purchase a ticket to the Faire. For our event guests, we offer tickets at a reduced rate. These menus and pricing are samples and prices for the 2019 season may change. All pricing will be updated once you decide to have an event consultation with our Special Events Coordinator when you pay to book your event. Consider these guidelines, and know that all pricing will be finalized before you book your event. When it comes to value for your entertainment dollar, the Bristol Renaissance Faire is a value that cannot be beaten. We have so much entertainment and wonder to offer you and your guests. Your guests will be able to enjoy a wonderful, fun-filled day in a clean, wholesome atmosphere. Based on the above information, we are sure you will agree that the Faire is the perfect place to hold your event in 2019. We want your day to be absolutely magical. If your plans include needing any kind of additional help, we want to be there for you! Our in-house Coordinator is available to help you plan and execute your special day right here at Bristol! We look forward to personally meeting with you to discuss the specific date of your event, and how we can best meet your needs. Thank you so much for your interest and consideration, and we look forward to hearing from you soon! 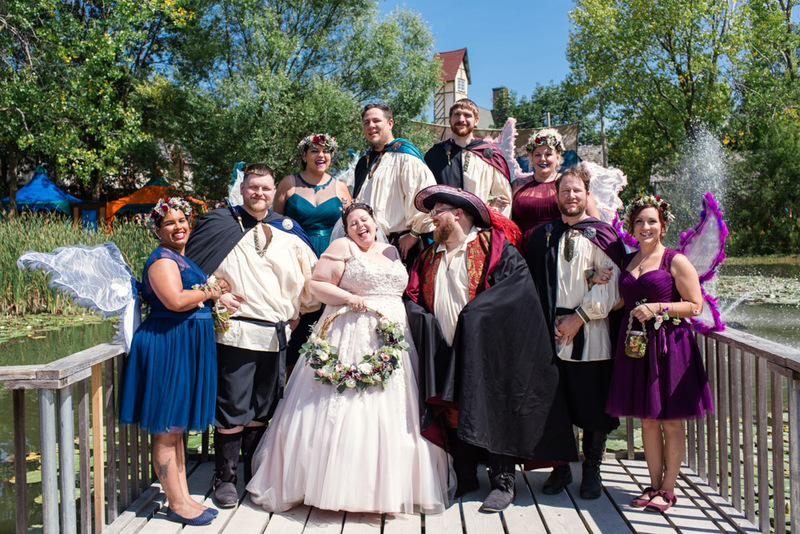 If you have any questions, please do not hesitate to contact us at brfspecialevents@renfair.com, or by calling our office at (847) 395-7773.
photo: Emma Mullins photography. Click the picture for the full blog post!